“Near the gardens of the Taj Mahal stands the important 16th-century Mughal monument known as the Red Fort of Agra. 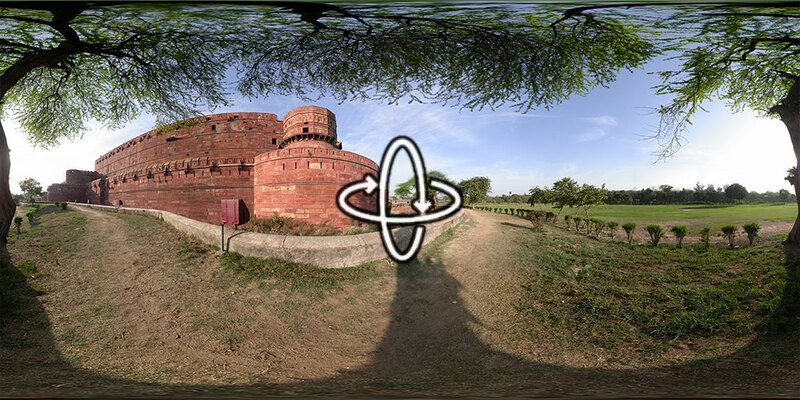 This powerful fortress of red sandstone encompasses, within its 2.5-km-long enclosure walls, the imperial city of the Mughal rulers. It comprises many fairy-tale palaces, such as the Jahangir Palace and the Khas Mahal, built by Shah Jahan; audience halls, such as the Diwan-i-Khas; and two very beautiful mosques.” More information via the World Heritage Centre.